I don't like judging people by their physical appearance..
sadly people are judged on it though.... I think Indian has all the right measurements of a beautiful face. Yeah, she has to fight guys off with a stick. So the american guys on average behave like pricks? I'm not even going to dignify that with a lucid response. This looks like it was done by mixing photos together. Have you ever seen that website, I can't locate it now. But there are stock photos there, you can combine up to 4, or you can upload your own. As far as the poll, it will still only let me pick one. Mr. Serbia looks pretty good to me. why is it that these average faces polls always seem to pick out the most hideous wench they can find for Miss England!? 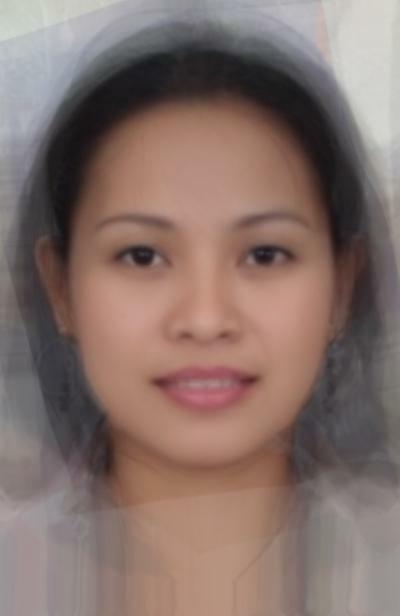 She looks more like the average well-off Filipina though.